For over half a century we have been Celebrating Life for your Family and Our Friends and we appreciate the trust you have placed upon us. Thank you for visiting our Butler Funeral Home website. We sincerely hope you will tour our site and you will find information that will be of benefit to you. We realize that most people are not familiar with making funeral arrangements, so we have developed this site to provide our families and friends with the information they will need to answer questions about funeral services. The Butler Funeral Home has been in Bolivar, serving the families of Polk and the surrounding counties since 1958. Formerly the White & Erwin and Erwin & Blue Funeral Home, Paul D. Butler and Mary Lou Butler opened their doors in August 1958. Joining the business in 1969 was their son R. Stephen Butler and later by Stephen's wife Jarolyn, in 1989. Mary Lou Butler passed away Nov. 6, 1988 & Paul D. Butler passed away on June 30, 2007. 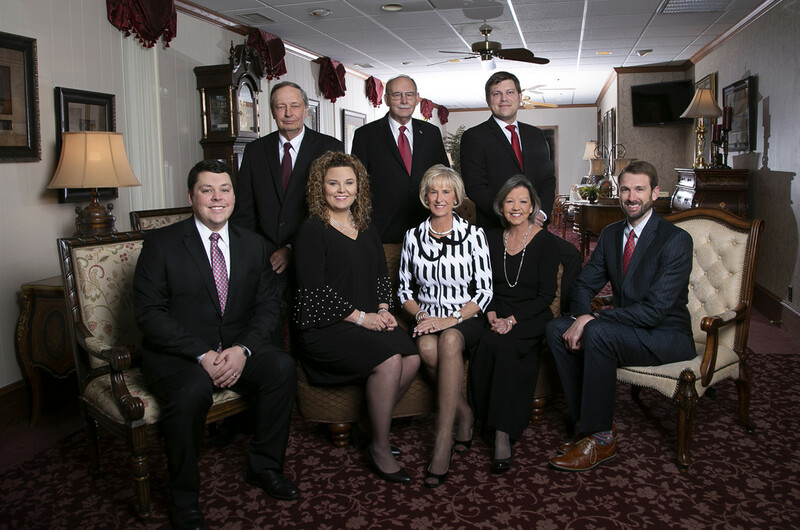 We are just as committed in showing you that Butler Funeral Home is a name you can trust in the future as we have for the past 54 years. R. Stephen Butler lived in Bolivar all of his life. A 1965 graduate of Bolivar High School, he attended Southwest Baptist University for 3 years, then enrolled in Dallas Institute Of Mortuary Science and Gupton-Jones graduating with a degree of Funeral Services Practitioners in Mortuary Science in 1969.After returning to Bolivar he started his apprenticeship under his Dad, Paul D. Butler and his Mother, Mary Lou Butler. He obtained his Embalmers and Funeral Directors License from the state of Missouri in 1969. In 1968, Stephen married Jarolyn Stanfill in Caruthersville, MO. Stephen was a life member of Optimist International, a member of a the First Christian Church of Bolivar, Bolivar Area Chamber Of Commerce, Past District Nine Director of Missouri Funeral Directors And Embalmers Association and The National Funeral Directors Association. Stephen dedicated his life to Funeral Service by helping those families they serve as if they were his own family. In her spare time, Jarolyn and her husband, Stephen, like to travel on various cruises, going to many different shopping destinations,and spending time together. Kyle was born in Fort Scott, KS and graduated from Fort Scott High School. He attended Kansas State University, earning his Bachelor of Science in Sociology/Criminology. He then received his Associate of Applied Science in Mortuary Science from Kansas City Kansas Community College. Kyle currently serves as Vice President of the Board of Education for Bolivar R - I Schools, and is a member of the board of directors for the Bolivar Educational Advancement Foundation. Kyle and his wife, Sarah met while they were both attending mortuary school. Sarah now stays home to raise their daughters, Olive and Daly. Kyle and Sarah are excited to be back in a smaller community to raise their family, after relocating from Kansas City in December of 2014. Taylor D. Howe was born and raised in Lebanon, Missouri. He graduated from Lebanon High School and continued his education, graduating from Southwest Baptist University. Taylor then attended Dallas Institute of Funeral Service where he graduated in the Spring of 2016. Taylor met the love of his life, Caitlin, at Southwest Baptist, and they were married in June of 2016. They are both eager to be involved in the community that brought them together and began their growing family, beginning in May of 2019. John was born on October 11, 1944 in Unionville, Missouri the son of Robert H. Smith and Irene (Williamson) Smith. On John’s 4th Birthday the family moved to Bolivar because of Dad’s job with the newly formed Missouri Conservation Department. John attended Grade School and High School in Bolivar. He also Attended Southwest Baptist College. While in School he was active in Sports – Glee Club and mixed Chorus and school Plays. Also during this time he was very active in his home church, The First Christian Church in Bolivar, where he has served an Elder for many years. The Church sponsored Boy Scout Troop 128. John’s Dad was Scoutmaster and he prompted John to do his best in the Scouting Program. Thus John became an Eagle Scout in the class of 1959. In the summer of 1967 he joined the United States Navy. After Boot Camp he was sent to Hospital Corps School. After that he was sent to Field Medical Service School where he was trained to be a field Medic with the United States Marine Corps. John spent six years on active duty and was discharged in 1973. Following his military service John began a career in the automobile industry. He was a salesman for nearly 25 years. In 1999 he joined the Butler Funeral Home, where he had worked during his college years prior to joining the Navy. At the age of 74 he remains on the job at the funeral home. Melissa Britton was born and raised in Springfield, Missouri. She graduated from Hillcrest Highschool, and continued her education, graduating from ITT Technical Institute, with a degree in Criminal Justice. Melissa has two children, Ashley and Matthew, with whom she was a stay at home mom for eighteen years. Melissa is currently the Coroner for Polk County, and joined Butler Funeral Home in March of 2017.